RB alumni and current students discuss how studying at RBHS has changed over the years. Homework: we know it well. We spend countless hours a week writing papers and typing on our laptops, but was it always like this? Students today are very accustomed to taking notes, completing study sets, and filling out docs on our laptops. It wasn’t always this way though. Homework at RB before the 2010s was very different than it is now. We interviewed RB graduates from years gone by to learn about homework routines of the past. Chris Agne, who graduated in 1980, was like most other teens at the time. He involved himself in many sports and after-school activities. “I played baseball, basketball, and was a male cheerleader,” said Agne. His weekly routine was fairly normal for teenage sports players. 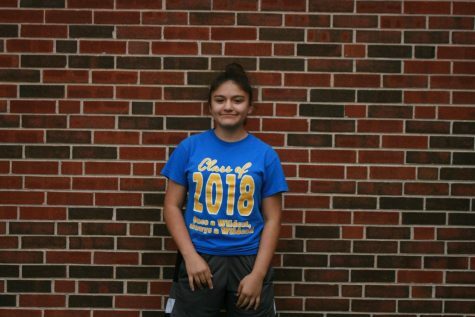 “During weekdays, I would have sports practice, eat dinner, and do homework from 8 to 10. On weekends, I would mostly study for tests and finish homework assignments. I had two study halls also, so I mostly finished homework there,” said Agne. Agne’s backpack was very light because he didn’t have one. Agne’s routine was typical of high school life before the widespread use of computers at RB. Sarah Leone, who graduated in 1998, provided insight into what it was like being a 90s kid at RB. Leone participated in many popular sports and clubs. “I was a cheerleader. I was in student council. I was in the earth science club,” said Leone. Leone’s backpack was fairly heavy due to the textbooks she had to carry home. “We were not allowed to carry our backpacks to class,” said Leone. The computer lab is somewhat obsolete now, but it was pretty cool in the 90s. Leone’s normal homework and studying routine was filled to the brim with paper. “We had to do a lot of studying, a lot of packets, and a lot of our classroom notes we would go over. We had old-fashioned overheads and the teacher would write over those with wet- erase markers,” said Leone. The 90s were a mix between paperwork and technology. In the 2000s, things began to change. Lorin Manganiello graduated in 2007 and was involved in the Ski/Snowboard Club and band. “I played the clarinet; I got to skip gym because of it. Gym class rules were kind of different from now,” said Manganiello. “I had about one to two hours worth of homework on a normal day- easy stuff,” she said. Manganiello’s backpack was light. She only carried the things she definitely needed for that night. Manganiello, like most kids in the 2000s, had a computer at home, so her memories about the computer lab were nonexistent. For finals, Manganiello took extra measures to make sure she had the material down. Schoolwork routines may seem very different from today. 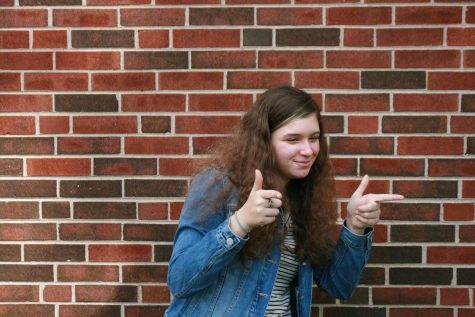 We spoke with freshman Isabella O’Brien about her home and schoolwork routine, which she says are pretty neat. O’Brien participates in drawing and painting, Robotics Club, and plays the viola. Like most kids, Isabella‘s backpack is big and bulky. 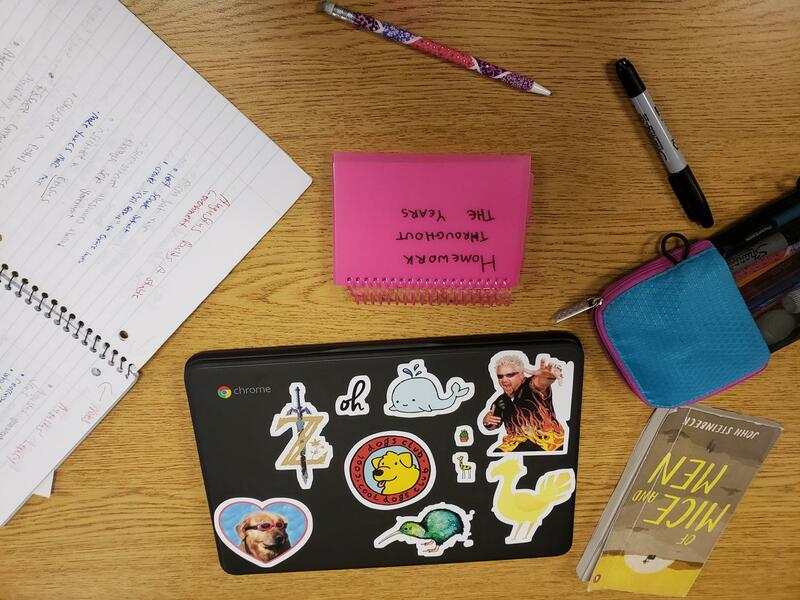 Like every other student at RB, O’Brien heavily relies on her Chromebook to do schoolwork. “I do use my laptop for homework, and in math, we are saving paper by using an online textbook. And in English, there is a lot of typing. During the day I use my laptop a lot, and having a working computer to bring around really helps,” said O’Brien. When we look at homework across the decades, a few things stands out: most RB students are working two or more hours per night getting their work done, and backpacks are definitely getting heavier!